Even before the launch of the iPhone a decade ago, one company was pioneering smartphones with a vision years ahead of everyone else. That company was HTC. In March 2007, just a few months after the launch of Apple's iconic device, HTC came up with a rather different vision of what it thought the future should be. The HTC Advantage X7500 (sold under many names including the T-Mobile Ameo) pushed the boundaries of what a smartphone could be. 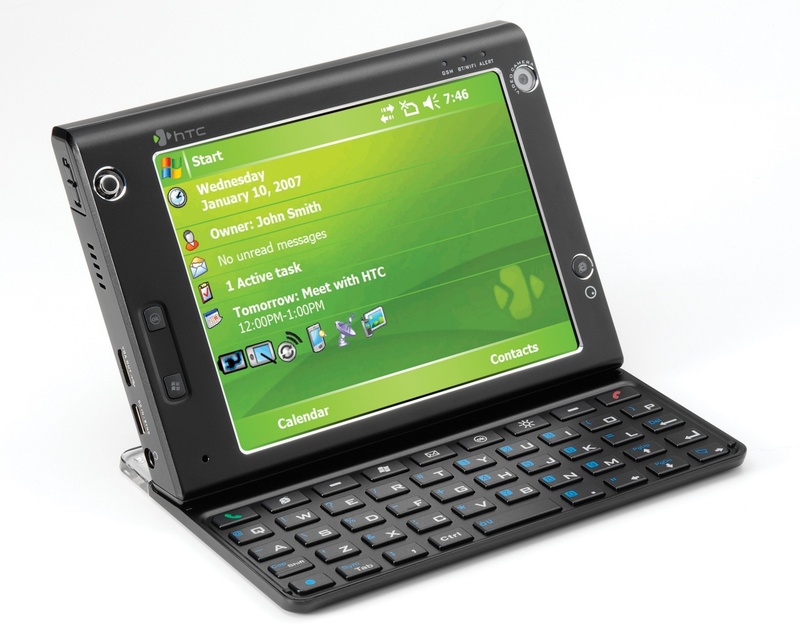 The 5" VGA resolution display was enormous for the time, there was a QWERTY keyboard that was detachable and a then very impressive 8GB of internal storage and an internal hard disk (yes, made of spinning metal). This was a Windows Mobile 5.0 device, and it also supported HSDPA and WiFi data, had GPS, a TV output, came with a 3 megapixel primary camera and VGA camera for video calling and had a microSD slot. Inside was a 624 MHz Intel Xscale processor with 128MB of RAM. In hardware terms it completely stomped over the iPhone, but it was two-and-a-half times the weight. It was quite an expensive device at about €850 SIM-free (€200 more than an unlocked iPhone) but it was pretty obviously a premium product. It wasn't a huge sales success, but it is credited by some as helping to popularise big-screen smartphones. 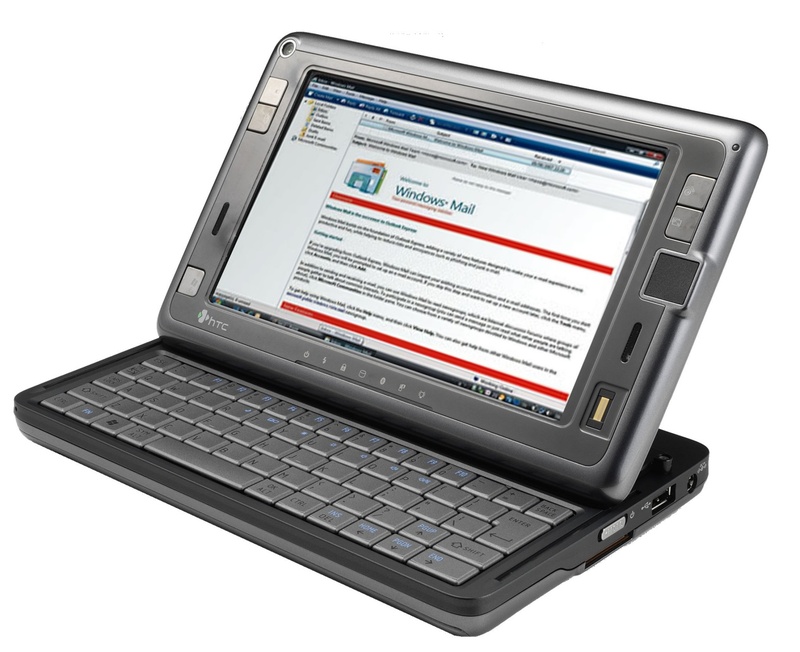 In 2008 HTC followed it up with the X7510 with more storage and Windows Mobile 6.0. Today you can pick up either model for around €50 to €70 for an unlocked version. Launched the same month was the HTC Shift X9500. Sporting a 7" WVGA touchscreen, the Shift was actually an ultra-mobile PC (UMPC) with some clever tricks up it's sleeve but an eye-watering price-tag to match. The Shift could boot into either Windows Vista (which probably really, really counted against it in the long run) or an application called SnapVUE which was basically a specially-written mobile operating system. In order to accommodate these two OSes, the Shift required both an Intel x86 processor for Windows and an ARM11 CPU for SnapVUE. It came with a 40 or 60GB hard disk, a microSD slot, HSDPA and 3G data plus WiFi, a fingerprint reader and 1GB of RAM. Priced in the US at about $1500, when it finally did get to market in 2008 it was four times the price of a 7" Asus EEE PC. It took a long time to come to market. It was not a sale success, but the 7" format ended up being a popular size for the tablets that were to come a few years later. But neither Windows Vista nor Windows Mobile 5.0 were ever really popular platforms, but eventually HTC switched its emphasis from Windows and produced the first Android smartphone. But that it another story.